The total range of wavelengths or frequencies of electromagnetic radiation, extending from the longest radio waves to the shortest known cosmic rays. The ordered array of known electromagnetic radiation, extending from the shortest cosmic rays, through gamma rays, X-rays, ultraviolet radiation, visible radiation, and infrared radiation. It includes microwave and all other wavelengths of radio energy. See the illustration for a more detailed view of this spectrum. Learn about the electromagnetic spectrum and how specific regions of the spectrum are being used in airport scanners. A domain characterized by the use of electronics and the electromagnetic spectrum to store, modify, and exchange data via networked systems and associated physical infrastructures. 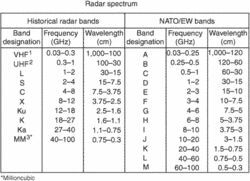 The energies measured and studied are in the electromagnetic spectrum, wh ich includes infrared, visible, and ultraviolet light; geomagnetic and electromagnetic fields; and vibration. It is becoming apparent that the manipulation of the electromagnetic spectrum (EMS) through a variety of toolsets, will dictate the actions of commanders in the 21st century. On June 20 & 21 Defense Strategies Institute will host the 3rd Electromagnetic Spectrum Operations Summit, a whole-of-Government event revolving around the theme of "Delivering EW and Cyber Capabilities for Multi-Domain Operations. SAR&DP also implements one of the fundamental tenets of the DoD Electromagnetic Spectrum (EMS) Strategy, which calls for the development of new and innovative methods for sharing spectrum and reducing DOD's overall spectrum footprint. 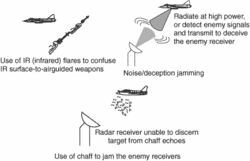 DARPA today announced the newest of its Grand Challenges, one designed to ensure that the exponentially growing number of military and civilian wireless devices will have full access to the increasingly crowded electromagnetic spectrum. It performs electromagnetic spectrum operations mission planning for all force levels from tactical through Joint Task Force, with an emphasis on the Brigade Combat Team level. If we have this source of coherent light that spans a huge region of the electromagnetic spectrum, we would be able to make the highest resolution light-based tabletop microscope in existence that could capture images in 3-D and tell us exactly what we are looking at. So, depending on which region of the electromagnetic spectrum a telescope uses to look at the night sky, the result will be a very different picture. We're also pushing to modernize and grow our warfighting capabilities in cyberspace, which we see as an increasingly important warfighting domain, the battlespace and of electronics and the electromagnetic spectrum. This undergraduate textbook describes the telescopes used to explore the electromagnetic spectrum, the occupants of the Solar System, the different types of stars, the components of the Milky Way galaxy, and the search for extraterrestrial life.